Clearing the way for elections later this year with a map that could boost Democrats' numbers in the Senate, Republican leaders decided Wednesday not to appeal a Leon County judge's ruling setting districts for the chamber's 40 seats. 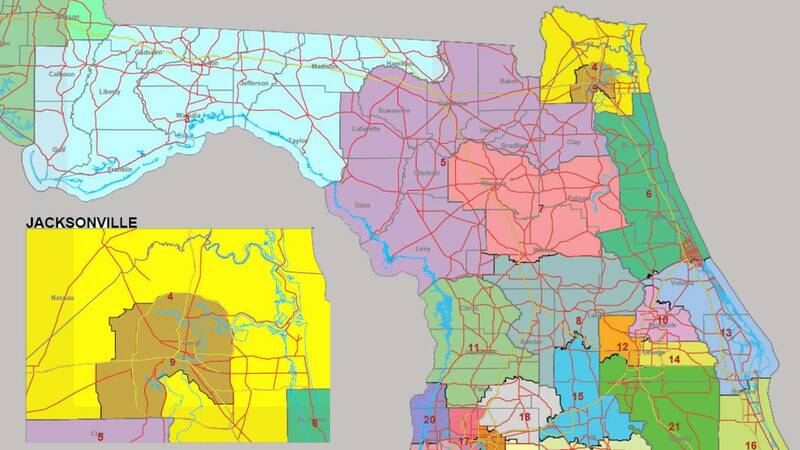 The decision ends a four-year legal and political battle over Senate district lines and closes out state judges' roles in the redistricting process. There is still a federal lawsuit playing out over a congressional map set to be used in the November elections. A spokeswoman for Senate President Andy Gardiner, R-Orlando, said Wednesday that Gardiner made the decision after conversations with Senate Reapportionment Chairman Bill Galvano, R-Bradenton. "President Gardiner and Chair Galvano have been meeting with the legal team and discussing the Senate's options for the last few weeks," spokeswoman Katie Betta said. "As a result of these conversations, Chair Galvano's recommendation to President Gardiner was that the Senate not move forward with an appeal of Judge Reynolds' decision." Galvano said the decision to let Circuit Court Judge George Reynolds' ruling stand was made Wednesday. "At this point, with the lines themselves, I think the members of the Senate are ready to have closure with regard to those lines," Galvano, who also serves as Senate majority leader, told reporters. "We want to do our work this session and then pivot into the political season." Last month, Reynolds ruled that the state should go forward with a Senate map crafted by a coalition of voting-rights organizations that included the League of Women Voters of Florida and Common Cause Florida. Those two organizations have waged a years-long legal fight against the Legislature's redistricting plans for the state Senate and Florida's delegation to the U.S. House. Last summer, the Florida Supreme Court struck down the congressional plan for violating a voter-approved ban on political gerrymandering. Shortly after that ruling, lawmakers reached a settlement in which they conceded the Senate map would also likely be found unconstitutional. Special sessions to redraw each map failed, leading to the courts making the final decisions. In each case, judges sided with the voting-rights groups. In a statement issued late Wednesday, one of the organizations' lawyers hailed the Senate's move. "In 2010, Florida voters sent a strong message to the Legislature: stop drawing districts to favor yourselves and your parties. Just over five years later, we are thrilled to be able to say that the voters' wishes have been granted," lawyer David King said. "With the Legislature's decision not to appeal Judge Reynolds' final judgment, in 2016 Floridians will for the first time have the opportunity to vote in legally drawn Senate districts that fully comply with the Fair Districts Amendments." The map chosen by Reynolds could threaten Republicans' grip on power in Tallahassee, where the GOP controls the governor's office, Cabinet and the Legislature. In 2008, 20 of the districts in the map Reynolds chose would have favored Democrats and 20 would have favored Republicans. Republicans would have enjoyed a 22-18 advantage in 2010, but Democrats would have held a 21-19 edge in 2012. Factors such as candidate quality and when certain districts are up for election could tilt those numbers. Senate terms are staggered, with half of the seats up for election each two years. Galvano, who is set to take over the Senate presidency after the 2018 elections, said questions still remain about the process lawmakers should go through when redrawing the lines --- questions that could have been answered by the Supreme Court. Lawmakers will draw the lines again in 2022 as part of the normal, once-a-decade redistricting process. "But in weighing those further questions against the opportunity to have some resolution and to close this matter and then look to resolving any further ambiguities at the next reapportionment, (not appealing) seemed to be the better course," Galvano said. The only ongoing legal challenge to the current redistricting proposals is a lawsuit filed by Democratic Congresswoman Corrine Brown, who says changes to her district would undermine the rights of African-American voters. If they're needed, oral arguments in that case are set to be heard March 25.